iPhone Passcode feature is a major way to keep spies and third–party out of your personal information but what if you forget your iPhone Passcode how to reset it? Don’t know what to do? Get the answer from this article and learn more reason why you should always have an iPhone Unlock software. When you forgot your iPhone passcode and you wonder how can you reset it to reuse it, don’t worry here’s the help. When you get into such a situation, a professional tool like iMyFone LockWiper can help you fix the problems without the hassle of seeing a phone repairer or a tech–guy to help you fix it. 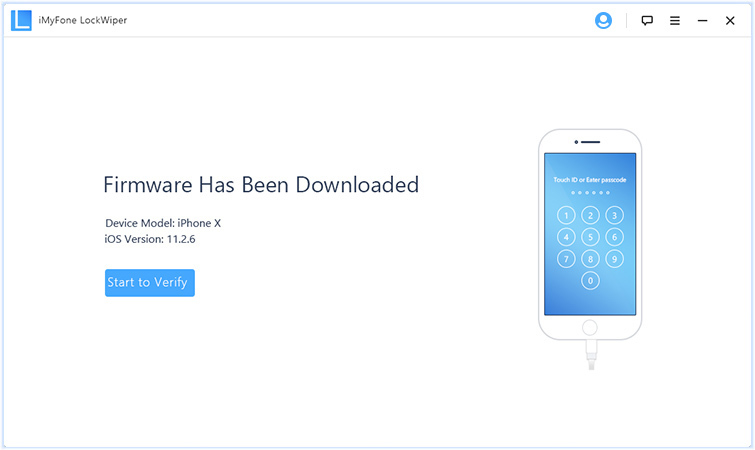 It is a screen lock removal tool with the ability of resetting your password and allowing you to use your iPhone and it does it in a way that it requires no passcode when unlocking your device. So, what really are the features of this professional tool? 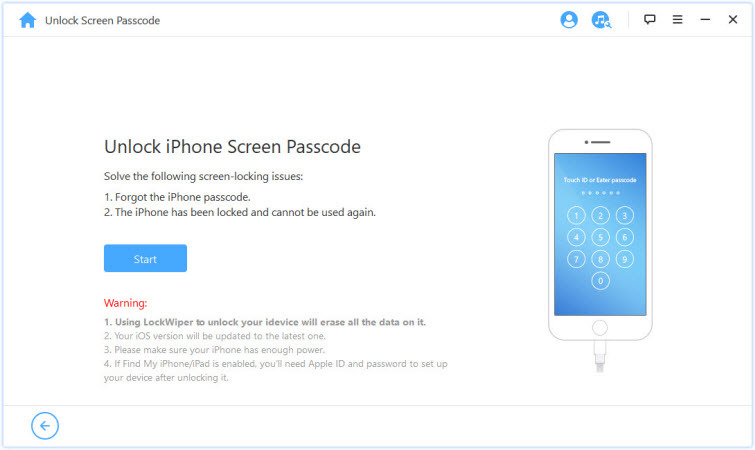 It help remove iPhone screen lock without passcode in just seconds. 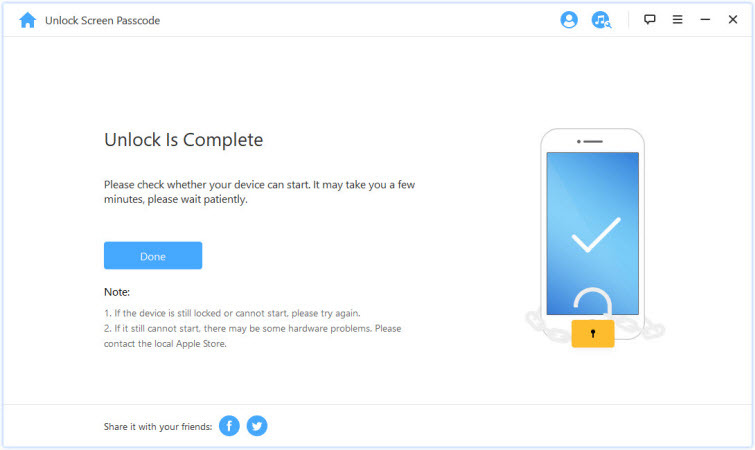 Step 1: First, Launch the iMyFone LokWiper tool, next, click “Start” and connect your iPhone to computer. 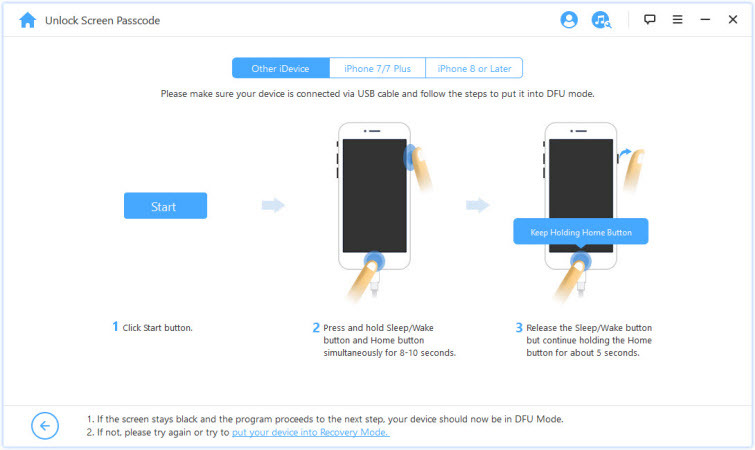 Step 3: Next, select your device type/model located on the top bar and follow the instructions to enter DFU mode. 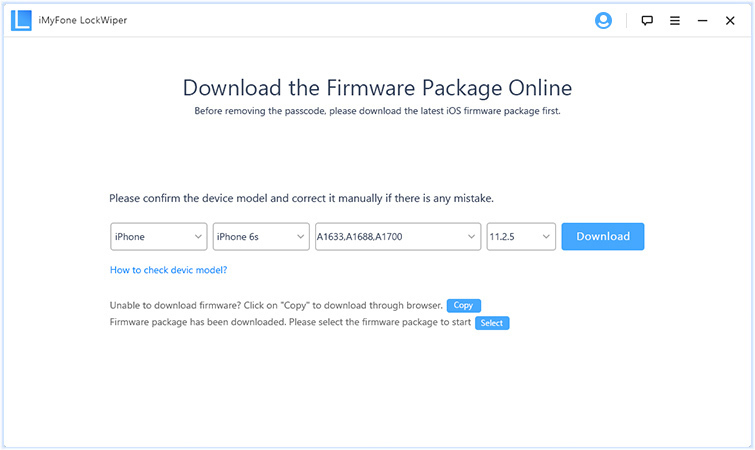 Step 4: Check the device model and correct it if it is wrong then click “Download”. Step 5: Now, tap on the “Start to Verify” button. 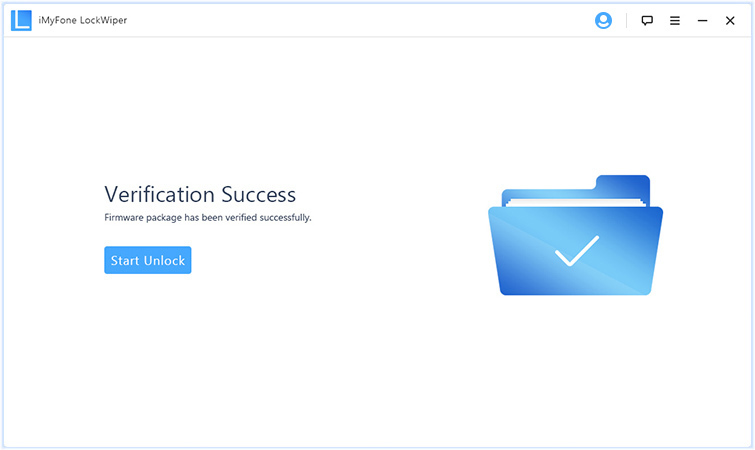 Step 6: Click on the “Start Unlock” to begin the Unlocking process. Step 7: Finally, read the notice that appears on the screen of your PC carefully. Then enter “000000” to confirm your agreement, and then click on the “Unlock” button. Step 8: Your iPhone will be unlocked successfully and you can start reset iPhone password. 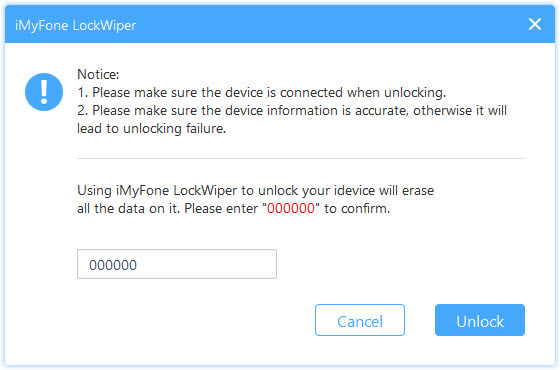 Even when you forgot iPhone password, don’t worry how to reset it, iMyFone LockWiper will handle it for you. However it is important to note that once the password has been removed, all your data will be lost and your iOS will be updated to the latest version. It happens sometimes that you just forget your password and you have to find ways or pay some to solve the problem. It is important and necessary that managing your iPhone Passcode and any other password better. Here are tips that will help you avoid forgetting your passcode. 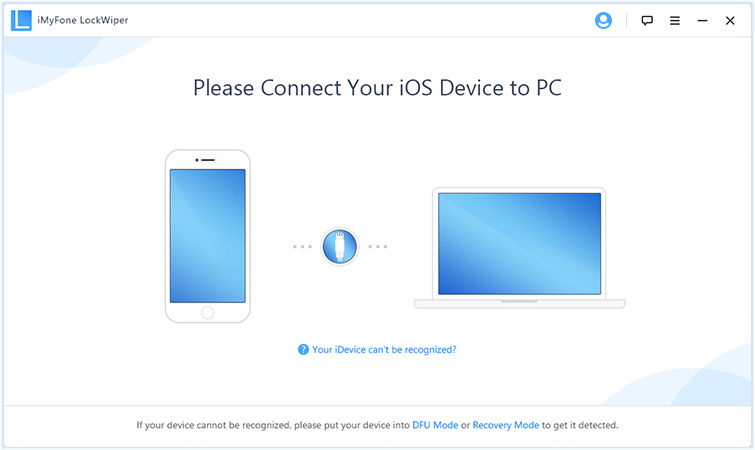 There are certain programs that are designed to open and reset your device - literally and also help you retrieve your lost passcode. Professional tool such as the iMyFone LockWiper would be a great idea. There are so many reasons why you tend to forget your passcode, it could be because the passcode was thought up on the spot, or sometimes, you might have made it too complex to remember, so always use a memorable passcode. Try writing down your passcode in a secured paper pad to help you remember, but it is best to keep it safe and avoid sticky notes which doesn’t count as a secured paper pad. Another thing to do to help you not to forget a password is creating a tip sheet. Tip sheets offer clues as to what your password is. But make sure you are not keeping a list of passwords that could be. Try encrypting your passcodes that way only you will understand whatever it is you have written. To conclude this, it is important to always have a professional tool; you won’t be judged if you can’t remember your passcode. I forgot my iPhone password once, and I had to use iMyFone LockWiper to reset my iPhone. Anyways, I’ve also learned ways to manage my password too.